We’re here to help answer your questions. Our team of experts are on hand to help you every step of the way. 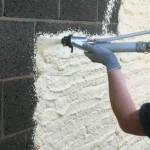 Please tick if you want to be contacted by UK Screeds Ltd for direct marketing purposes. 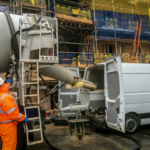 Your information will be used solely for the purpose of communicating with UK Screeds Ltd and will not be added to any marketing lists, sold or shared with others. 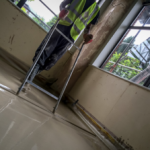 A highly efficient successor to conventional sand and cement screed, liquid screed offers significant advantages to the building trade. 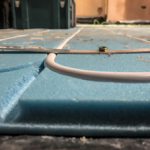 A wide range of products that heats up your home during the winter but also can provide underfloor cooling all year round. 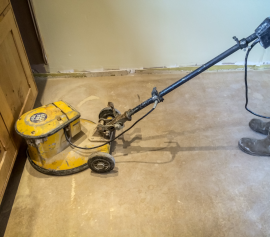 A screed pump for hire service to any sector of the building trade including the DIY trade and existing liquid screed installers. 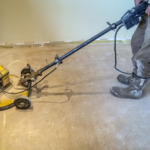 After the liquid screed has been laid a thin layer of laitance is left on the surface, this means that the floor will need to be sanded.